Raise our youth to love the Quran and to worship and obey Allah. Encourage them to embody Quranic manners and help them to grow up in the worship of Allah so that they can be included among the people that the Prophet (S) mentioned in this hadith: “Seven are (the persons) whom Allah will give protection with His Shade on the Day when there will be no shade except His Shade (i.e., on the Day of Resurrection), and they are: A just ruler; a youth who grew up with the worship of Allah…” [Al-Bukhari and Muslim]. ● Teach students how to read the Quran correctly. Train students to learn important memorization skills. ● Give students a taste of the beauty of the Quran by explaining important words from the Quran and interesting stories that they will remember. ● Build a strong bond between students and the Quran, which will help them to hold on to their natural goodness (Fitra) that Allah has given them as human beings. ● Get to know the specific talents and strengths of each student and help direct her to the best path for her as a student of the Quran and a member of the community. 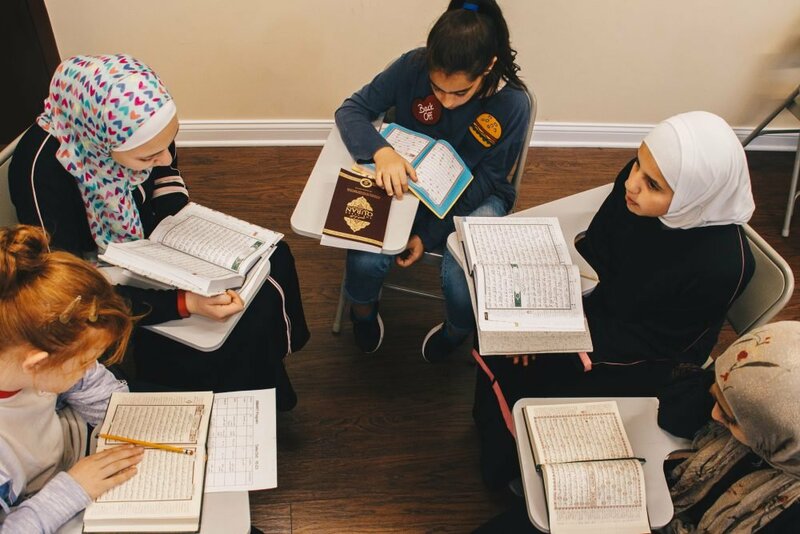 ● Teach students what we believe as Muslims and work on strengthening their faith and helping them to be proud members of our Muslim community. ● Help students with living the Quran in their daily lives.